Knowing what credit terms mean in your credit report can make credit repair and report monitoring easier. Everything you do in your business from start-up to expansion will revolve around your credit reports and score. So, here are some credit terms that you need to know. These are the neutral items, things that are in place reflecting facts as they are reported to them. An agency that gathers financial information on individuals. Credit bureaus have also been known as "credit repositories" or "consumer reporting agencies." The three major players are Equifax, Experian and TransUnion. All have different methods of gathering and quantifying data. Each generate their own type of credit score based on the Fair Isaac Corporation model. A financial report containing your credit history information about you, from every financial debt that you have incurred, including car loans, mortgages and credit cards. Credit reports focus on payment histories, bankruptcies, collections, charge-offs, and also include information on current outstanding debt balances, amounts of available credit, and inquiries generated by you and companies seeking information about you, including promotions and current or potential employers. The Fair Isaac Corporation's (FICO) mathematical algorithm, or formula, creates a scoring number that predicts bill-paying behavior based on information provided by your credit report, compared to information on millions of others. Lenders use this number in addition to gut "feelings" they use to assign or deny credit or approve or disapprove loans. Your outstanding debt compared to the amount of credit available on all of your credit cards. The higher the ratio, the more risky lenders consider you to be. A credit obligation where the monthly payment remains fixed over the life of the loan, such as a mortgages or car loan. Inquiry records of your applying for credit with several car loan or mortgage lenders for the best rate. 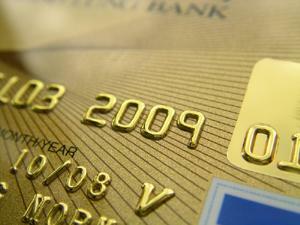 Shopping has little impact on your credit score if done within a two week period. A credit account requiring a monthly minimum payment plus interest on the remaining balance each month. Indications that employers, potential employers, apartment rental agency requested copies of your credit report. Can also include companies checking to see if you "pre-qualify" for promotional offers before they send them out to you. Theses are the items that can try your soul and damage your credit. The only recourse to these is time, before they drop off your reports, usually within seven years. Part of a credit report indicating an unpaid debt that was owed. Late payments or sub-minimum payments made on a credit card. Theses are usually shown as being 30, 60, 90 or 120 days delinquent. These remain on your report for seven years. A document generated when you apply for credit, including a mortgage, car loan, credit card or a rental application. They generally remain on a credit report for two years. These are credit killers. Some may be negotiated such as repaying charge-offs and collections. Others such as liens or judgments must first be paid and time allotted until these amounts drop off. A legal discharge of financial debts as ordered by the court. Bankruptcies stay on a person's credit report for 10 years. An unpaid account or bill that a creditor has written off as uncollectible. These remain on your credit report for seven years. A company that dedicates itself to collecting accounts that creditors have written off, usually taking 50% of the amount as a fee. If resolved, these items drop off after seven years. If left unresolved, the account can be purchased by another collection agency and the fun begins all over again. A court-ordered decision as part of a civil action or lawsuit indicating an amount of money someone is required to pay to satisfy a debt or as a penalty. These also stay on for ten years. Legal claims placed against property as security for a debt. While this information may go away after seven years, the lien must be satisfied before the property securing it can be sold. Information on your credit report that records all of the previous items in this section.